You'll recall that we have been involved in negotiations with Republican Senator Kate Brophy McGee over her Senate Bill 1394 with the hopes it could include meaningful reform of charter school financial accountability and transparency. This bill was prompted by a year of reporting by The Arizona Republic's Craig Harris revealed systemic issues of self-dealing among charter operators paying themselves, friends and family many millions of taxpayer dollars. Despite honest dialogue on our part, none of our more substantial recommendations were adopted in the final bill which, in our judgement, doesn't achieve true financial accountability for charter schools. "For years, Democratic legislators have introduced bills to provide financial transparency and accountability of Arizona's charter schools. We support charter schools and send our own children and grandchildren to them. But we have known for quite a while that there are charter operators who take advantage of the system to enrich themselves with taxpayer dollars meant for educating kids. 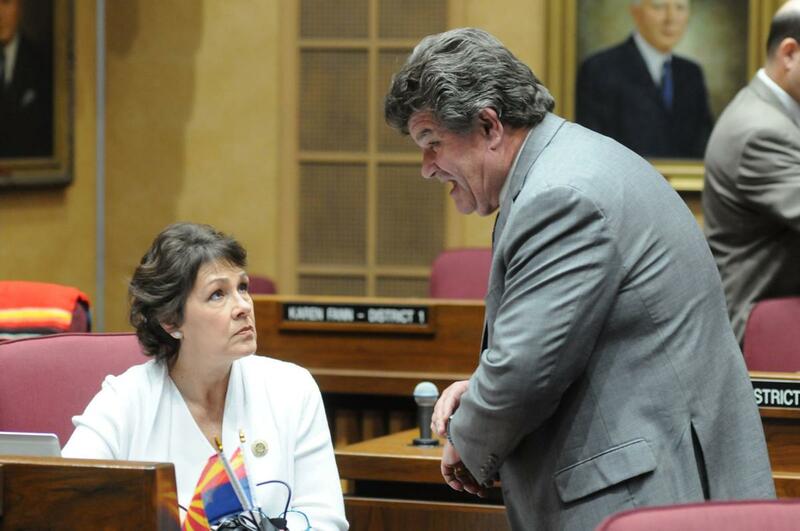 "Senate Bill 1394 began its journey with its sponsor expressing a willingness to proactively engage both the Senate and House Democratic Caucuses in the discussion. We signed on with the promise that we would be at the table to discuss measures that would strengthen the bill, which we were. "At the first and every subsequent meeting on this issue we discussed the need to strengthen the reporting and transparency requirements for charter holders and the need to increase transparency around Charter Management Organization contracts. Also discussed, but not resolved, was the capping of administrative expenses and a prospective ban on for-profit charters. "There were many other ideas discussed in meetings with the sponsor and stake holders but these two main issues represent the minimum focus our caucus needed to vote for the bill. We made this very clear during discussions and that is why they were addressed in our two amendments that were rejected yesterday by Republicans. The notion that our amendments were last minute demands is disingenuous and categorically false. "With the rejection of our amendments, SB 1394 in its current form fails to resolve these issues. "While there are provisions within SB 1394 that have merit, such as the Attorney General's ability to issue civil subpoenas, they fail to ultimately target CMOs - the entities that make the operational decisions that can enrich self-dealing charter owners. "If SB 1394 is enacted, its proponents will claim we have 'checked the box' on charter financial accountability and transparency reform when in actuality we have not. When the regulated have veto power over their own regulation, we will never achieve true reform." 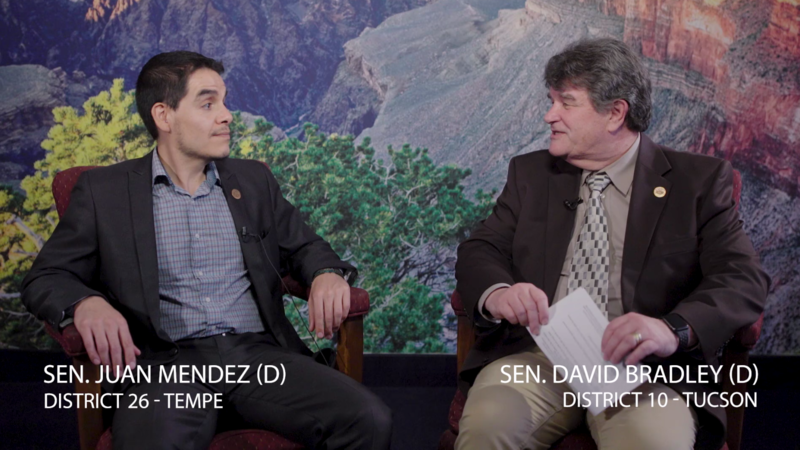 In this week's Canyonside Chat, Senator Juan Mendez talks about the weekly legislative lunch he hosts with Secular Arizona and its impact. 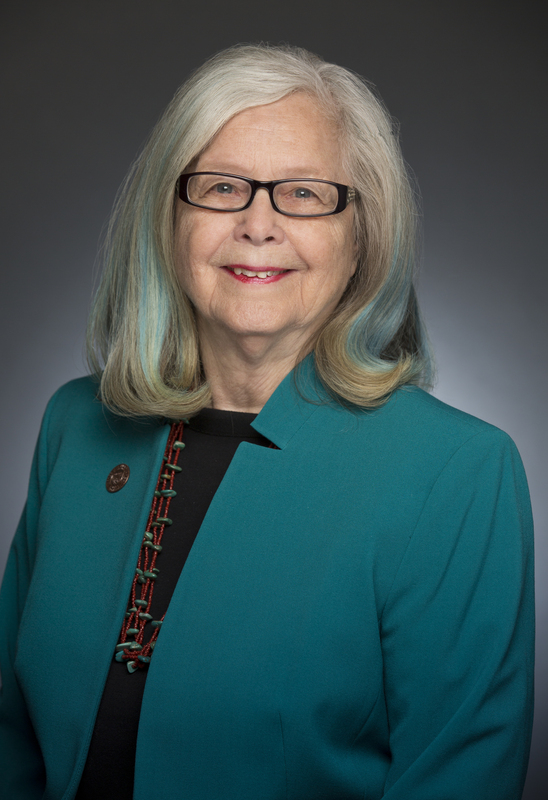 Last Wednesday the Senate Democrats marked the end of the ERA Task Force’s three-day, 38-mile march for the Equal Rights Amendment with an attempt to force a vote on its ratification. Arizona has the chance to be the 38th and final state to ratify the ERA, putting it into the U.S. Constitution. Republicans who control both the Senate and the House, however, have refused to give it a hearing and prevented its vote on Wednesday. PHOENIX — A bid to force a vote on having Arizona ratify the Equal Rights Amendment faltered Wednesday when every Republican senator present refused to allow it. While Democrats hold 43 percent of seats in the Senate, our bills only account for 7.9 percent of bills heard. The portion of United States Route 89 that is located between the Utah state line and Flagstaff be designated the "Native American Veterans Highway". The portions of State Highway 264 that fall under Navajo jurisdiction be designated the "Navajo Code Talker Highway" and the portions that fall under Hopi jurisdiction be designated the "Hopi Code Talker Highway". Renames the portion of historic United States Route 66 that is located between Seligman and Kingman to be designated the "Hualapai Veterans Highway". Requires suicide prevention training for school personnel that work with students in 6-12 grade. Would allow a victim of sexual assault to obtain an injunction against harassment. Stipulates that the regulation of rights, obligations and remedies of landlords and tenants pursuant to the Arizona Residential Landlord and Tenant Act is a matter of statewide concern and not subject to further regulation by a county, city, town or other political subdivision of the state. This continues a troublesome trend of the Republican-dominated legislature usurping local control. While stating that modern uranium mining does not typically result in pollution, HCM 2003 urges the United States Environmental Protection Agency (EPA) and the Arizona Attorney General (AG) to take immediate action to eradicate uranium and related air and water pollution in this state. It remains our position that a ban on further uranium mining in the Grand Canyon watershed must remain in place. Allows any person to file suit to claim public resources have been used to influence elections. Currently the Attorney General or county recorder have that authority. Sen. Andrea Dalessndro, D-Green Valley, called the bill an "illusion of doing something. It has no teeth."